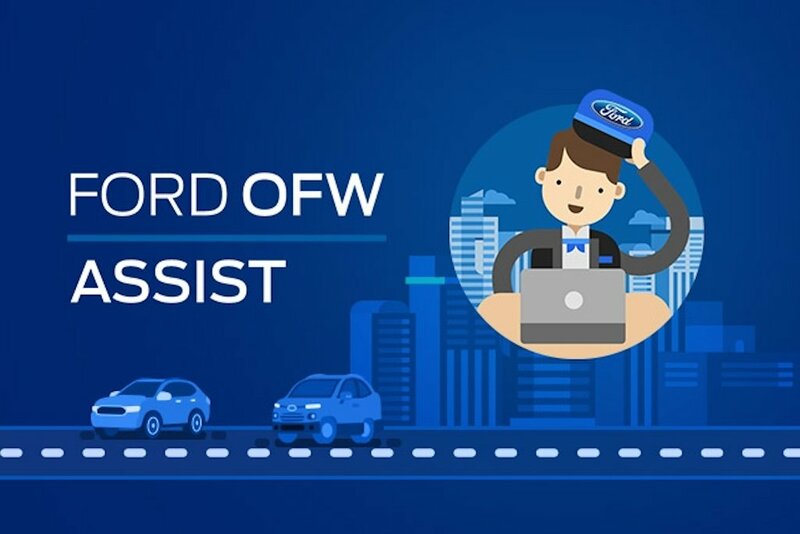 Ford Philippines introduced the Ford OFW Assist Program, providing a convenient online buying experience for Ford vehicles available in the Philippines for Filipinos working abroad. In partnership with AutoDeal, the program includes a dedicated customer service e-mail hotline to guide Overseas Filipino Workers (OFWs) through their vehicle purchase experience, a convenient test drive booking option for the OFW’s family members in the Philippines and easy EastWest Bank online loan applications for Ford vehicles. “We’re continually enhancing and expanding our customer experience, and our Ford OFW Assist program provides a hassle-free car buying service that specifically caters to Filipinos working abroad,” said Lance Mosley, managing director, Ford Philippines. To celebrate the year-end festivities, OFWs who purchase a Fiesta, Focus, EcoSport, Ranger or Everest through the Ford OFW Assist Program are entitled to a free Scheduled Service Plan (SSP) worth up to P 30,000, depending on the model. This special promotion will run until December 31, 2016. Ford’s Scheduled Service Plan is a prepaid, worry-free maintenance plan that covers the Ford vehicle for up to a 5-year period from the date of purchase, thus shielding the owner from future price increases on parts and labor. It is a cost-efficient way to ensure that the owner’s investment is protected through a scheduled service maintenance program undertaken by Ford trained technicians using Genuine Ford Parts. For more information about the Ford OFW Assist Online program, click here. For more information about the Ford Scheduled Service Plan, visit your nearest Ford dealership or click here.